Well organised office and work environments will welcome the introduction or restocking of our Box File Foolscap. 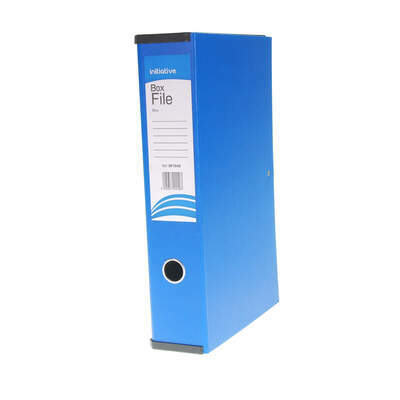 Styled in the traditional box design, this highly durable storage box can easily store numerous A4 and foolscap sized documents in a safe and compact design. The box design stacks easily alongside other files and folders while the lock spring mechanism holds the lid in place when not in use. 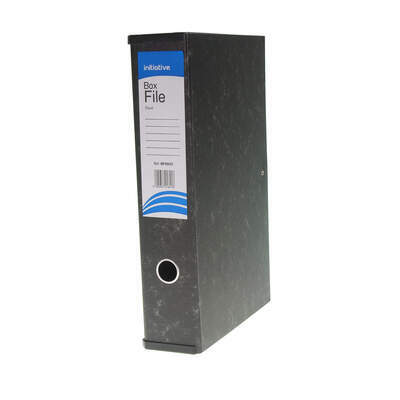 Ideal for storing the most important documents away for future perusal, this professional looking all black box file has been finished with a sturdy lid and finger ring allowing the paper to be removed easily when required. 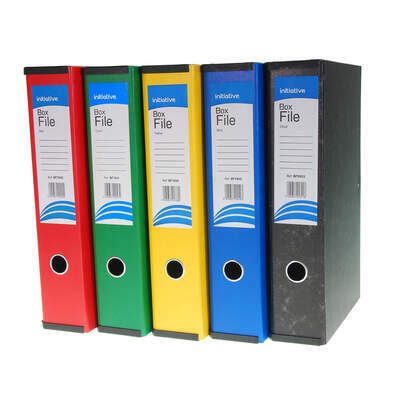 A large and clear spine label makes identification easy when stacked up alongside similar items. 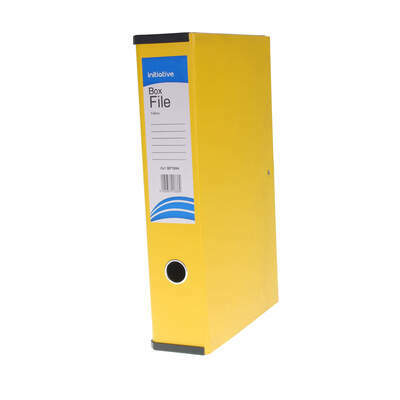 Our Stationery Supplies are always restocked with everything you'll need to keep your workspace organised from Lever Arch Files to Popper Wallets and all at affordable low prices.